THE EUROPEAN PARLIAMENT has today voted overwhelmingly for the break-up of Google in a largely symbolic vote that has nevertheless cast another blow in the four-year standoff between Brussels and the US Internet giant. The European Parliament has no power to launch the break-up of Google, but the move, introduced by two senior lawmakers, is further indication that the mood towards the company across Europe has soured. Google has become an increasing source of worry for European officials on issues ranging from privacy to the protection of national publishers. 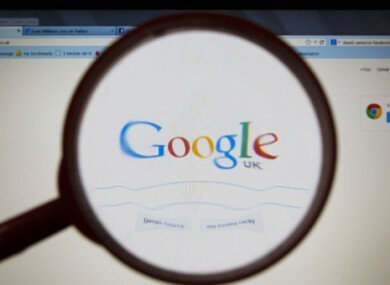 In another attack on Google, on Wednesday EU privacy watchdogs issued guidelines calling on the company to apply the right to be forgotten rule to all search results. In a statement Wednesday ahead of the vote, the US mission to the European Union said it had “noted with concern” the parliament resolution. Also: Explainer: The European Parliament wants to break up Google, but why? Email “The European Parliament has voted to break up Google ”. Feedback on “The European Parliament has voted to break up Google ”.